I'm so used to reading books driven by a romantic plot, or fantasy adventure, that it took me a little while to get used to this one. I would categorize it as YA Christian Family Drama. Dani has a flawed family she's trying to keep together, and big dreams. Her boyfriend Theo has his own issues, but he's seems to own them and share them in a way that Dani can't yet. I loved the fact that when Dani makes a mistake, it comes back to bite her, and she must unravel it on her own, rather than somehow getting resolved through unrealistic machinations like in many other books. This book felt real. All the characters are working through their own stuff, good and bad. My only caveat was the grandfather. I had a hard time dealing with the fact that everything in the book revolves around helping such a horrible person. Well edited, interesting, and hard to put down, a definite recommend. 3.99 for Kindle. I received a copy in exchange for an honest review. Thanks so much for reading and reviewing! 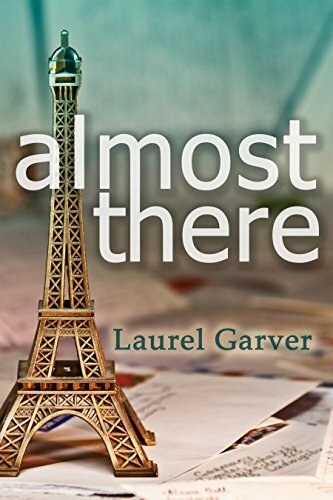 I'm delighted that you enjoyed Almost There.